Greetings again honorable spaceship warriors. Today, we’ve got some information on what you’ll be fighting for as the prizes for Alliance Tournament XIV, the participants that were picked in the random draw, and which commentators’ soft vocal tones will guide you through this year’s conflict. For those of you just tuning in or new to the game, the Alliance Tournament is an annual competition in which EVE Online player alliances pit their best members in a grand contest to see who the masters of spaceship combat are. Alliances will spend months honing their skills to give themselves the slightest edge in this grueling competition that is played out over three weeks. Some of the most memorable moments in EVE’s history can be found in the Alliance Tournament, with priceless ships being torn apart and turned to ashes, great dynasties falling to an unexpected newcomer, and long standing feuds between rivals played out in nail-biting matches that leave everyone holding their breath right up to the last moment. Any alliance that manages to win this prestigious event will find themselves showered in fame and fortune and rightly respected by all citizens of New Eden. This year, Alliance Tournament XIV will be held starting October 1st over the course of three weekends, with the finals taking place on the 16th of October. The action from the first weekend will be broadcast by the wonderful EVE Online volunteers of the Interstellar Services Department (ISD) and other community groups, while weeks two and three will be broadcast live by EVE TV. The Alliance Tournament Cup is an ingame inventory item of which only one copy may ever exist. Every year we edit the description of the item to reflect the complete list of former tournament winners and move the item to the possession of the most recent winners. The Alliance Tournament Cup was given to the Pandemic Legion alliance in the most recent Alliance Tournament XIII, and after the conclusion of Alliance Tournament XIV it will be taken from wherever it resides at that time and given to the AT XIV champions. In previous tournaments, we have given ingame Alliance Tournament Medal inventory items for the teams that places first, second and third in the tournament. The number of medals granted was the same number as the maximum pilots that could be fielded in that tournament. We will be continuing to do this for Alliance Tournament XIV. However, like Alliance Tournament XII and XIII, we will also be giving out medals to every character that was a member of the participating alliances on the first day of the tournament. These will appear on the character sheet, exactly like a medal awarded by a corporation. There will be medals for Tournament Competitor, Top 32, Top 16, Top 8, 4th, 3rd, 2nd, and 1st. Each character will receive only the highest medal that their alliance earned. Remember, the medals will only be granted to characters in a participating alliance on the first day of the tournament (October 1st). As with previous Alliance Tournaments, we will be distributing the PLEX collected as entry fees as prizes in the tournament. If a very large number of PLEX are bid during the secret auction, the number of PLEX awarded may potentially increase. Ever since the 7th Alliance Tournament, the main prizes each year have been a set of special edition frigates and cruisers, with unmatched combat prowess. Only 50 of each type of frigate or cruiser are given each tournament. As with Alliance Tournament XII, this year we will be distributing the special edition prize ships to the top 4 teams, with each team receiving an equal number of cruisers and frigates. 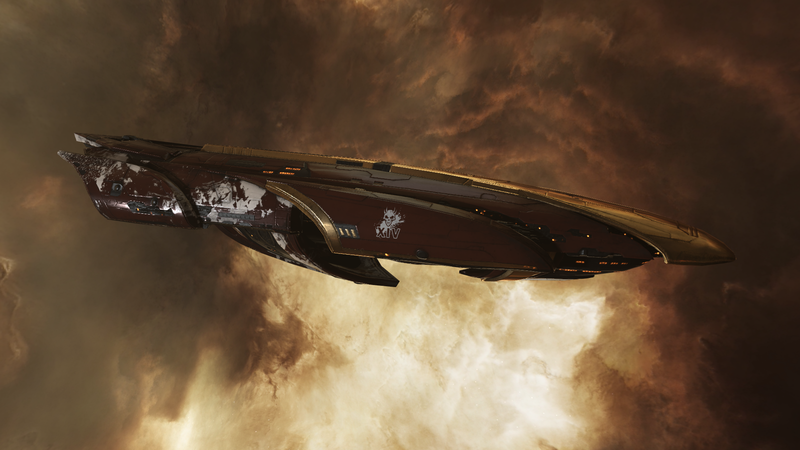 As with Alliance Tournament XIII, we will be offering a ship SKIN that can be applied to any of the Blood Raider ships to give them a unique visual style. We will be awarding 10 copies of this SKIN for each series won by a team. This includes the single match series that make up the bulk of the tournament. This should provide an additional incentive to try and win every match you can. Again like last year, these skins will be handed out later than the rest of the prizes at a yet to be determined date. This year a total of 92 valid entries were received. Of those, 12 were from teams in the previous year buying in directly, and 80 were entries into the random draw. Congratulations to those that were drawn, and good luck in the secret auction to those that were not. If you wish to see the video of the draw being performed, you can find it here. As the draw has now concluded, we move on to the Secret Auction. 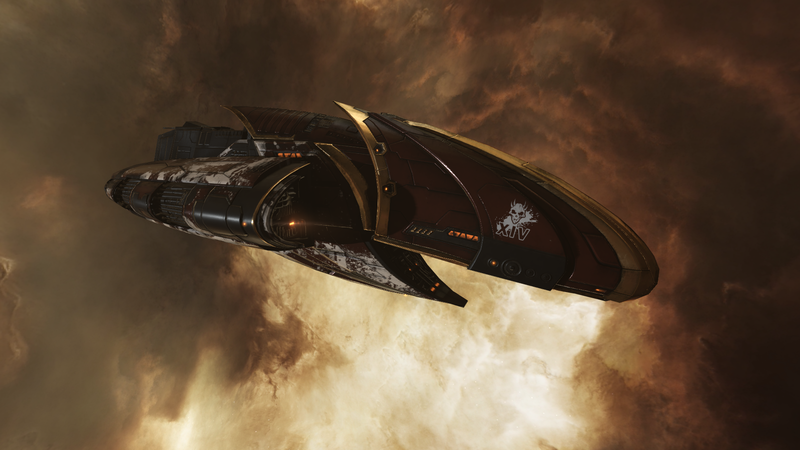 Beginning tomorrow, 27th of July after downtime, the remaining teams that were not selected in the draw may have either their Alliance Executor or Team Captain EVEmail CCP Logibro a PLEX bid. The minimum bid is 5 PLEX. The same character that mailed the bid must also place the same number of PLEX in the redeeming system. All bids must be submitted before downtime on the 29th of July. Any bid without the respective number of PLEX in the redeeming system at the close of the auction will be considered invalid. This year, we have again selected 4 player commentators to help guide you through the tournament. Congratulations to those chosen, and a big thank you to those others that applied. We’ve also made a few changes to the rules since their release. With rewards like this for those that find glory, we’re excited about the many matches between competing teams as they compete to claim the blood soaked prizes on offer. As always, if you have questions, feel free to head on over to the Alliance Tournament Forum.